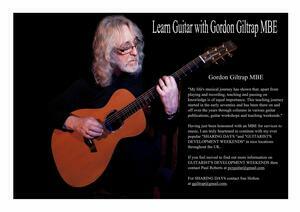 Learn with Gordon on a fantastic weekend away at a bargain price. A friendly, family- run guest house in the heart of the historic market town of Uttoxeter in the English Midlands is the setting for a two-night, all-inclusive Gordon Giltrap Guitar Weekend. The package includes two days of guitar workshops with Gordon, accommodation, all meals and an exclusive concert on the Saturday night. Uttoxeter is centrally located just off the A50 dual carriageway which links the M6 and M1. 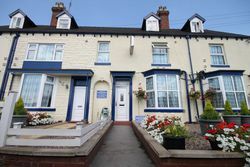 The Meadows Way Guest House is on the main A518 in the town centre, has ample parking and free wi-fi. If you prefer to arrive by train, the venue is just two hundred yards from Uttoxeter railway station. There are regular East Midlands trains from Stoke-on-Trent and Derby. The guest house is just a hundred yards from Uttoxeter’s Market Square, and town centre amenities including half-timbered pubs and shops dating back to the early sixteenth century. Friday evening: Meet-and-greet. Take your time arriving and check-in. Then join Gordon for a welcome session at 9pm. Friday and Saturday night: Bed and breakfast. All the guest house’s rooms have en-suite facilities. Saturday evening: evening meal in the Crystal Suite at the nearby Bank House Hotel. 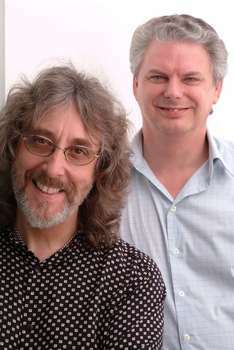 Followed by an exclusive and intimate concert by Gordon Giltrap and my special guest, my dear friend and 'Double Vision' partner - one of Britain's most experienced classical guitarists Raymond Burley. Cost per participant £320 - You can bring a non-guitar playing partner for just an extra £60. Cost includes accommodation and food, admission to Saturday evening performance (for up to two people), Friday evening meet-and-greet and Saturday/Sunday guitar workshops with Gordon Giltrap (for one person only). Your guest is free to explore the historic town of Uttoxeter and nearby attractions while the guitar workshops are underway, and of course guests are welcome at the Saturday evening concert where Gordon will play some of his favourite guitar pieces. The course is not suitable for beginners, but any enthusiastic player with a reasonable level of competence should enjoy the attention of a world-renowned tutor and the chance to share tips with fellow players in a friendly social environment. You will be sent a tab transcript of the pieces you’ll be learning prior to your arrival. Accommodation – two nights at Meadows Way Guest House, 18-22 Bridge Street, Uttoxeter. Staffordshire ST14 8AP (Friday/Saturday) A double en-suite room will be allocated on arrival. Please advise us at the time of booking of any disability requirements. Please do not contact the B&B directly. All fees must be paid in advance and are non-refundable should you not attend.